If you’re looking for a Kids Entertainer Isle of Wight -side, you’ll probably be reaching for the number. Maybe of an old tried-and-tested favourite that has been doing the Island circuit for sometime. Whilst kids love familiarity and don’t seem to mind a bit of recycled material. Remember that they still like a surprise! As a Kids Entertainer with now over 20 years’ experience. JJ is new on the Isle of Wight and is fun, exciting, energetic and is really different from anyone you are likely to have seen before. With a unique mixture of children’s magic, ventriloquism and audience participation. Your child’s classmates will certainly have something to talk about when they go back to school. 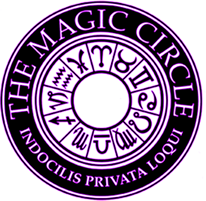 .At Magical Parties we understand that booking someone can feel like a step into the unknown. But with lots of 5* Facebook reviews you can be reassured that lots of other parents have already taken the jump and have not been disappointed. Parents often think that parties are expensive, but compared to the price per head for other activities. Such as Lazer Quest, Bowling and Trampoline parks it really is one of the best value for money options. Particularly if your child has lots of friends! JJ can run a party for as many children as you can accommodate in your chosen venue. Which is great if you also want other family members to be able to join in the fun too. Some entertainers seem to think that in order to be a good kids’ entertainer that they also have to amuse the parents, this usually means dropping in innuendos that the children don’t understand; JJ believes that in making sure that the children are happy and are having fun that the grownups will already be having a great time!